Does your website have a lot of images, audio, video, or other multimedia content? A hosting plan that includes FFmpeg can keep your bandwidth and disk space usage down. FFmpeg is free, open-source software designed to facilitate the creation, management, conversion, and streaming of multimedia content. If you think your multimedia-rich site will be fine with your unlimited bandwidth hosting, you might want to recheck your terms of service: “unlimited” isn’t always what it’s cracked up to be. For a website full of multimedia, those video, audio, image files could use up tons of bandwidth. If you go over your allotted bandwidth, you could find yourself in violation of your terms of service, and in danger of getting your site shut down. If you’re lucky, your host might allow you to download your files… but if they decide to deny you access, your website will just be gone. Luckily, there’s a hosting feature called FFmpeg that will help keep your multimedia-rich site’s bandwidth usage down. Created in 2000, FFmpeg is a free and open-source collection of tools and libraries that allows users to record, convert, and stream video and audio in a multitude of formats. These tools are extremely useful in optimizing files for online sharing and streaming. Video and audio files in their original, uncompressed formats are often enormous in size. For example, a high-quality MPEG2 file captured right from your DVD would be a huge file, into the hundreds of megabytes for just a few minutes. By converting it to a much smaller, but still viewable, VOB format, you could save a lot of space and bandwidth — two critical considerations for any website owner in an age where “unlimited bandwidth” doesn’t always live up to its name. Who's Best for FFmpeg Hosting? We think SiteGround is the best choice for FFmpeg. Can My Website Benefit From FFmpeg Hosting? Depending on the type of website you’re looking to create and the bandwidth you need for your multimedia, you may need more than the sometimes basic multimedia support included with many hosting packages. If you plan to stream multimedia content for your users or provide tools for the conversion, sharing, and streaming of user-created content, then you may want to look into a comprehensive multimedia management tool such as FFmpeg. With FFmpeg hosting, you can rest assured your site won’t violate your host’s terms of service by exceeding your bandwidth. Even if you let visitors to your site upload and convert their own content for sharing and streaming, or share content from around the Web, this applies. How Can I Get FFmpeg? FFmpeg is a free open-source project, available to download from the FFmpeg official website. What Can I do with FFmpeg? You can actually use it on your own computer, to play, stream, decode, encode, and manipulate all kinds of multimedia in other ways. In addition to conversions to and from almost any media type, FFmpeg also supports basic editing, so you (or your users) can resize, resample, or change the aspect ratio of content to fit the requirements of your site. Many multimedia-rich websites across the web use FFmpeg software. If you’ve ever seen a YouTube video embedded on another website, you’re seen FFmpeg in action, detecting which file type to use to optimize the file to play on your browser. You may want to explore ffWorks, from Fabrice Ballard, the creator of FFmpeg. ffWorks allows you to encode “ultra high quality” videos without having to use the command line or write any code. What Formats Does FFmpeg Support? FFmpeg also supports more obscure formats. It can handle just about any kind of file you can throw at it, which is important in a world where many people use different devices with wildly varying support for formats. When FFmpeg comes with your hosting plan, you can download it as a one-click install via the hosting control panel of many popular providers. Some web hosts already have FFmpeg scripts pre-installed with your hosting plan. If you don’t see an option to install FFmpeg and you’re not sure how to enable it, contact your host’s support and they’ll be able to guide you. Once FFmpeg is installed and enabled, you’re good to go! You and your visitors can upload video, audio, and images to your website, and FFmpeg will work behind the scenes to optimize your files while minimizing your bandwidth and disk space usage. First, remember that FFmpeg should not cost you anything. FFmpeg software is free and open-source, so it shouldn’t add anything to your monthly hosting expenses. Keep in mind that streaming content and big file sizes can add up quickly — and some hosts charge overage fees or even shut down sites that exceed their usage limits. Depending on your needs for your website, you might consider other hosting features for your multimedia website, such as uptime guarantees or video streaming. Some hosts won’t enable FFmpeg unless you get a dedicated hosting plan, so be sure to check the details before you select your hosting plan. If you plan to host and stream a lot of multimedia content, select a plan with plenty of available storage space and bandwidth, and read the terms of service carefully so you don’t risk exceeding your limits. If you’re using a reseller plan and sell hosting services to your clients, be sure to check if you can enable or install FFmpeg to avoid getting shut down because one or more of your clients are running video sharing sites or using their site for file sharing. Your multimedia files will take up a lot of storage space and bandwidth, so you should check a potential plan’s allotments carefully before you sign up. A hosting provider that offers FFmpeg and plug-ins preinstalled or available as a one-click install is convenient, especially if you’re planning a multimedia-heavy site. A dedicated hosting plan or a VPS plan could be an excellent choice if you’re planning on creating a video sharing site similar to YouTube or if you want to host audio files for a podcast. Here are my recommendations for FFmpeg hosting are below. Do take any unique needs of your website or business into account. If you want a fully managed experience and need technical help to setup FFmpeg on your server, choose SiteGround. It allows you to choose the location of your server that’s closest to your target audience and handles technical installation of all the necessary software. SiteGround will also maintain your server, update your server, and monitor it 24/7 to keep it secure as well as provide you with an around-the-clock support team. On top of that, you’ll benefit from WordPress enhancements such as the staging area and the caching plug-in, which speeds up your site. If you’re looking for something more budget-friendly, then Bluehost is a good choice. The standard dedicated plan allows you to enjoy a highly-tuned server built and maintained by Bluehost’s team of engineers. The dedicated servers are instantly provisioned which means your server is ready as soon as you sign up for it. One of the key benefits of signing up for Bluehost’s dedicated server is the ability to easily upgrade your storage space without having to contact the support team, however, keep in mind that the customer service is available 24/7 should you need any help. Bluehost also offers a 30-day money back guarantee so it’s definitely worth a try. FFmpeg Hosting with A2 Hosting. A2 Hosting, on the other hand, is a great choice if you’re not quite ready for a dedicated server. It’s also one of the few hosts that provides tailored plans for video and audio streaming sites, thanks to the Wowza streaming engine. 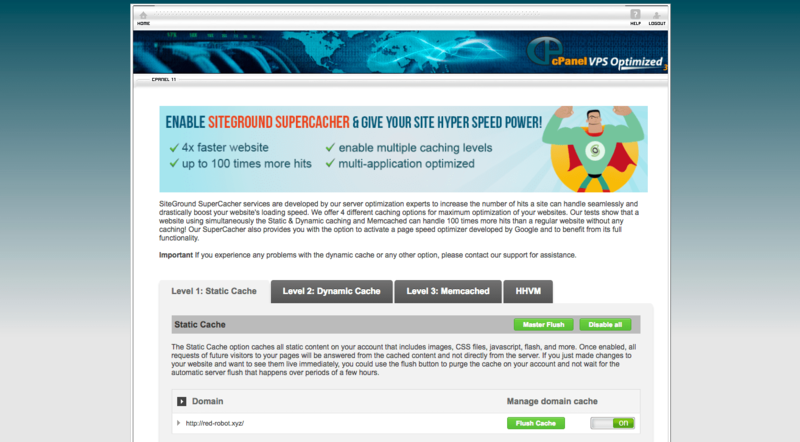 The VPS plan is perfect for video hosting websites that get a decent amount of regular traffic. If you’re not tech-savvy, opt for the managed VPS plan so you don’t have to worry about the technical aspects of managing a server or updating the installed software. You’ll also get access to an easy-to-use cPanel and you can scale your plan to accommodate the growth of your site. Aside from the features above, A2 Hosting offers 99.9% uptime guarantee and anytime money-back guarantee. To wrap things up, let’s take a look at the strengths and weaknesses of FFmpeg. FFmpeg is a software application that can play, encode, and stream audio and video files. It gets its name from the ‘fast forward’ button. FFmpeg can record, convert and stream audio and video. In a web hosting context, FFmpeg makes it easy to serve media on your website that your visitors can stream on demand. What file types does FFmpeg support? FFmpeg supports hundreds of different audio, video, and image formats. It comes with hundreds of codecs which you can read about on the official FFmpeg website. Yes, under the GNU Lesser General Public License version 2.1 or later. FFmpeg was first created by French computer programmer Fabrice Bellard in 2000. It’s now maintained by a team as a collaborative project. What operating systems does FFmpeg support? 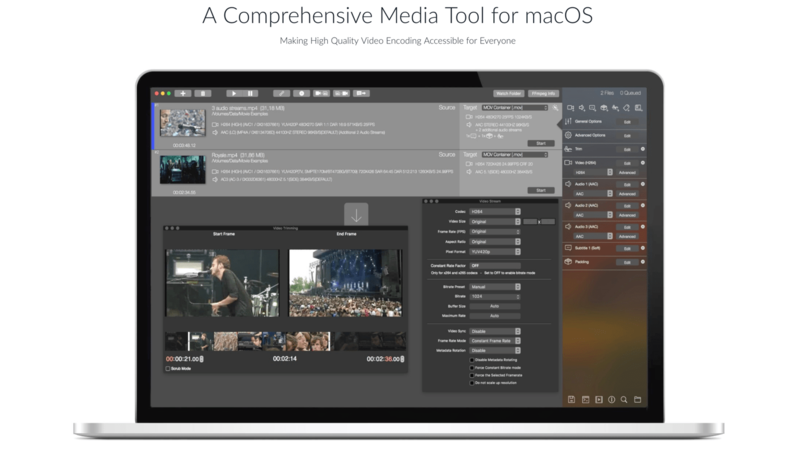 FFmpeg was developed for Linux, but it can run on Mac OS X and Microsoft Windows. Not all codecs work well on Windows, so it’s best to stick with Linux hosting if you’re unsure what to choose. Will my website benefit from using it? If you share a lot of media, FFmpeg could help you to cut storage and bandwidth usage. If your website has a large gallery of images, allows users to upload multimedia, or if you host podcasts on your site, you could also benefit from FFmpeg. Its streaming support means that your visitors will potentially be able to access media in a more convenient way, whether you host podcasts, video blogs, or social network profiles. Can I use it to stream copyrighted content? No. Your host will not allow you to upload content to your server unless you hold the copyright. If you didn’t create the media file, check the license terms to find out if you can legally upload it to your website. Is FFmpeg web hosting expensive? FFmpeg itself is free, but storing and sharing media files can cost extra. While shared hosting sometimes offers ‘unlimited’ resource, audio and video streaming would usually violate the host’s fair use policy. Consider a VPS or dedicated server, and allow enough resource headroom for traffic spikes. How does FFmpeg compare to Libav? Libav is a fork of FFmpeg that launched in 2011 after tensions among FFmpeg developers. Users that commit to one or the other will notice few differences, but some hosts may offer one or the other. What’s the difference between FFmpeg and GStreamer? GStreamer is a multimedia framework written in C. It helps with audio and video playback, recording, editing, and streaming. In general terms, Gstreamer is best for complex, resource-intensive conversions. For simple encoding, FFmpeg works well. How do I install FFmpeg to use on my website? Some shared hosting plans come with FFmpeg pre-installed. On a VPS or dedicated server, you should be able to install it yourself if you have root access. Not all hosts allow it, so check the fine print carefully. What should I look for in a FFmpeg host? Make sure that the hosting plan you choose will have adequate storage and bandwidth for your website needs. If it’s “unlimited,” check the terms of service carefully, since streaming or sharing media may not fall under their guidelines. If your plan doesn’t come with FFmpeg already installed, make sure it meets the minimum installation requirements. If you’re not sure, contact the hosting company and ask if your chosen plan will meet your website’s needs. Are there any downsides to FFmpeg? FFmpeg has been in development since 2000 and has continually grown and improved. That makes it quite large and complex. The application doesn’t come with a graphical interface, so it can take time to learn all of the commands. Why would I use FFmpeg rather than YouTube? When you upload a video to YouTube, you get the benefit of free hosting and a wider audience for your content. That can save you money on bandwidth, as well as improving your visitor statistics. However, you lose some control over it. Additionally, there are some types of content that YouTube will not accept, so FFmpeg hosting is a useful alternative.